Automation systems and technologies exist to drive improved value for industrial operations and businesses in a safe and environmentally responsible manner. New trends in automation should be evaluated on two levels – the technological level and the functional level. The technological level deals with the impact of technological advancements on the technology and topology of the automation platform. The functional level deals with the incremental functionality that can be delivered on the automation platform to improve operational and business value.The IIoT movement provides significant transformation at both levels, with the net impact being a significant increase in the value industrial companies derive from automation. Most of the current fervour associated with IIoT has been at the first level. There are a number of technologies including connectivity, networking, big and small data analytics, cloud computing, fog computing, wireless communication, cyber physical systems and edge computing that are gaining a high level of acceptance in the industrial sector. Independently these technologies are promising. In combination, however, they offer an unprecedented opportunity. Together, these technologies create an environment which removes many of the traditional technological constraints imposed on automation systems. 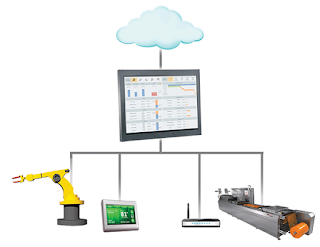 Automation systems designers now can design an automation system from a clean slate. Cost, speed, and size limitations of older technologies have led to automation architectures and topologies being defined by the technological constraints. The result has been the development of two different industrial operations topologies; the automation system topology and the industrial operations topology. This has caused an increase in complexity in industrial operations as personnel had to learn both topologies to effectively operate a facility. With new levels of agility offered by IIoT, the topology of automation systems can be perfectly matched to industrial topologies, drastically simplifying the application and operation of both. These new automation systems topologies will be called natural topologies due to their natural alignment to industrial operations. The expected result of this alignment will be the application of automation systems to each asset and asset set in the industrial operation, from the simplest piece of equipment through to process units or work cells, trains, areas, plants, fleets and enterprises. This will lead to simplified environments with unified smart connected asset control systems combined into smart industrial enterprise control systems. 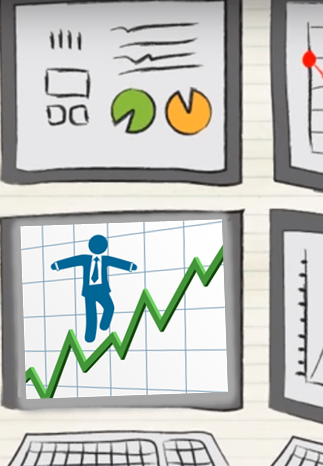 Under such a system,the operation of each asset and asset set is controlled for optimal business results. At the functional level, automation systems were originally developed to control processes in real time. Most real-time process control implemented to date has been focused on improving the efficiency of a process or machine, and not the operation as a whole. Although improving efficiency is important, it is far from the only domain to which real-time control should be applied in industrial operations. As the speed of industrial businesses has continually increased over the past decade, managing industrial assets on a human, transactional schedule has proven to be insufficient. Important industrial variables, such as profitability, safety risk, environmental risk, reliability and security risk, that have traditionally been managed on a daily, weekly or monthly schedule have now transitioned to real-time. Therefore, it is no longer possible to keep managing them in the same way. Real-time controls are needed to support these important business elements. Decisions influenced by either manual or automatic, feedback or predictive controls need to be made fast enough to positively impact the operation of a process. Real-time controls will need to be applied to improve the efficiency, reliability, profitability, safety risks, environmental risks and security risks for each asset and asset set in industrial enterprises. This will result in true asset performance control which will then lead to optimal enterprise performance. This guest blog written by Don Clark, Senior Director, Industry Solutions and Dr. Peter Martin VP Industry Solutions, Process Automation as part of the white paper: ”The Industrial Internet of Things: An Evolution to a Smart Manufacturing Enterprise”.